You need not to have been on this planet very long before you will encounter adversity. One popular adage states that we become stronger by going through tough times. Yet, not everyone who encounters obstacles is able to surmount them and achieve success. 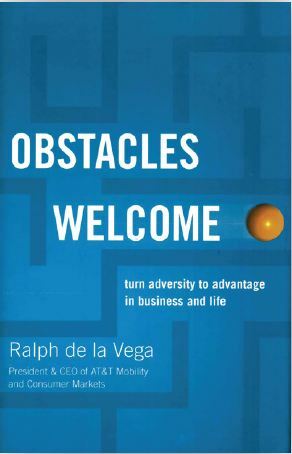 In Obstacles Welcome, Ralph de la Vega recounts his own “pivot points,” born of a challenging early life that shaped and molded him into a very successful businessman (currently, he serves as the President and CEO of AT&T Mobility and Consumer Markets. His positive responses to adversity formed the backbone of a successful values-based management system. Rather than seeing separation from his parents at the age of four as a bad omen, de la Vega found a way to accentuate the positives in his life. He innately recognized that dwelling on negative thoughts and feelings was counterproductive. After that tough, early life challenge, he moved to Miami and had to overcome a language barrier in the classroom. He adapted again to his environment instead of letting it get him down in the dumps. 1. Hope is not a strategy. It is necessary to plan for success. 2. To achieve big goals and dreams, it is necessary to take calculated risks. 3. Big wins in life come from an ability to recognize opportunities. The most significant and important opportunities lie in problems that are waiting to be solved. 4. Embrace and overcome obstacles. Obstacles and adversity make stronger, wiser, and more capable leaders. 5. Be willing to unlearn old habits and relearn old lessons from life experiences. 6. Building winning teams involves effective, honest, and open communication. 7. The greatest successes always involve willingness to make sacrifices. 8. Leadership is not something inborn, but learned and practiced. As a young executive at Bell South Latin America, de la Vega experienced everything from military insurgency, economic meltdown, and political revolution, in addition to unstable markets, lack of uniformity in corporate leadership, and nonexistent profits. How did he respond? He took a chance and embraced the challenges as opportunities to lead an entire sector of the international communications market into profitability. What he advocates is to “become comfortable with being uncomfortable,” In order to do that, we may have to set aside what we feel we already know and become flexible in our approach to the challenges set before us. • Set the direction, create the vision. • Establish values and lead by them. • Select strategies and key initiatives. • Build plans to achieve vision. • Establish goals, priorities, and focus. • Establish key metrics to measure progress. • Align and inspire people. • Empower and enable people to achieve vision. • Select, recruit, and develop other leaders. This week, we are “flipping the equation” on you and examining what a business in decline looks like. As you track with the principles shared and lessons learned, you may find yourself to closely resemble a declining business in one way or another. Don’t despair! Knowing what needs to be fixed is important. You are that much closer to success than someone who doesn’t even realize that crisis is around the next corner because of ignorance. No one is consistently successful. When things start to go wrong, however, the shrewd executive must recognize those events that are catastrophic and those that are not. Early warning signals of imminent business decline can occur both inside and outside a business. Changes in the operating environment due to external and internal elements may signal the beginning of decline. Once an executive team determines that the business is showing some symptoms of decline, the next step is to determine whether the decline is shaping up to be a twenty-four-hour bug or a terminal disease. Can it be treated? Can it be cured? Stages of decline include early, mid-term, and late periods, and recognition of these stages has an impact on the steps to reverse the decline. In early decline, it is very probable that the business can be totally saved and profitability restored quickly–often within a matter of months. In mid-term decline, the business has been suffering some erosion of value, and it may take a year or more to restore the value and resume profitable operations. Finally, there is a late decline. Sadly, fewer that one-third of companies in this type of serious trouble are able to reverse their decline and emerge on the other side “whole”–with existing management, ownership, and operations intact. Successful businesses excel at making sales. You know the saying, “the rich get richer?” Well,the corollary is that those who have revenues get more revenues as a factor of customers wanting to be associated with a successful brand. One thought you should consider is to go after markets that are less susceptible to the uncertainties of interest rates and the economy. If you were a homebuilder (you’d be an industry famous for tracking closely with the economy), you would be wise, for example to pursue both upper-income retirees and “move-up” families. These two demographic groups tend to be less affected by economic turns and have demonstrated a time-tested pattern of purchasing homes in most any economy. Knowing the segments of your market well enough to follow suit and service the buyers with money to spend will position your company to operate for maximum profitability. Successful executive teams know that targeting buyers with focused offerings is key to penetrating your ideal market. Regardless your market dynamics, the goal is to increase volume. With higher volumes come higher velocity cash flows. This increased velocity creates the favorable setting for financing terms that suit your financial model. Yet, it is clear that profit margins must be maintained else increased velocity exacerbate losses. The focus of controlling costs is to optimize expenses as investments–not eliminate them! Cost management evaluates not only the amplitude of the individual expense, but its impact on organizational performance. While the general principle is to control the growth of costs, there are strategic advantages to be gained from choosing to incur the right expense for the right reason at the right time. Another major shortcoming in the financial management of many companies is the effort to wring cost out of processes and retain all of the benefit of the exercise in the hands of a greedy few. Passing along savings to customers is a great way to build a customer base advocacy. Not all of the profits, mind you, …but enough to become even more competitive. If your organization does not have a process to monitor and eliminate waste, it needs one! Sharing items like technology, administrative labor, equipment, and offices/desks is “low hanging fruit” in this area. Most resources do not need to be dedicated to one person or department because they cannot be utilized enough to justify the additional expense. Look at ways to speed up the delivery of your product/service to market–scheduling and workflow management process improvements drive profits to the bottom line quickly, as well as freeing up needed cash flow. Monitor invoices–make sure that payments are for things ordered and received by specification and terms. Evaluate reporting systems. Dashboard feedback on expenses, margins, and cash activity help executives manage rather than being managed. Get a god fix on the financial capital structure of your business and how it compares to competitors. Doing so will drive planning relative to debt capacity, valuation, growth, and many other categories. Taking the approach that debt is always a short-term tool and is to be repaid as soon as possible will increase a company’s capacity to take on debt when absolutely necessary. 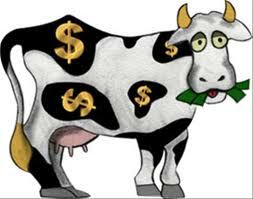 Think through cash reserves and how they speak loudly to others as to your management acumen and company viability. When preparing pro-forma projections of anticipated cash flows, make sure that worst case scenarios are considered. Money on deposit is a precious commodity and those who have it are in a position of strength. Having products or services in development that can be brought to market quickly is an asset for those well-capitalized, a liability for those who are not. Your unique debt to equity ratio should be stronger than your industry–and should reflect the commitment of the executive team to run the business according to thoughtful metrics and attention to details. Acquisitions are more prevalent when economies are tough. Companies hope that they will be able to achieve economies of scale by combining functions that require repetitive tasks. What is often underestimated is the work that must be done post-merger to actually experience the desired results. Yesterday, we examined the role of cultural due diligence in assessing the promise of combining efforts with another company. We assume that that assessment has been done and the decision was made to proceed. What is at issue is how to proceed! Create a master to-do list broken down into themes including key items that arose in due diligence. Allocate a manager, for each theme. Break items down into actions within 30, 60 and 90 days. 1. Get control of the bank accounts. Ensure all accounts are receiving the best group interest rate. 2. Establish operating budgets including capex with authorization guidelines. 3. Establish a new management information timetable. Metrics will be key. 4. Review balance sheets for adequacy of provisions. 5. Drive through planned cost savings quickly and effectively with clear communication. 1. Establish a reporting structure to ensure continuing trading is seamless. 2. Review reward structures to ensure continuity of management. 3. Anomalies between acquirer and target sales commissions will require urgent action as sales teams talk. 4. Quickly review of problem employment contracts and put resolutions in place to minimize exposure. 5. Organize immediate sales & customer service training. 6. Establish a key meetings schedule to allow free and timely flow of information. 7. Establish a clear understanding of the authority levels of the target’s leadership team. 1. Deal with exposures revealed by due diligence, prioritizing those related to keeping the trains running! 2. Plan for merging disparate systems or at least to allow them to “talk” to each other. 3. Lock down the security around customer databases. 1. Ensure live deals under negotiation are not disrupted by the acquisition. 2. Cleanse all sales forecasts ASAP and integrate the revised version into the group cash forecasting system. 3. Review cross selling opportunities between key customers of buyer and seller. 1. Communicate often and clearly with staff and key stakeholders externally, especially key customers. 2. Visit key customers to share the strategy of the merged group and why it’s good news for them. 3. Use the joint press release on the deal to motivate staff and impress existing customers. 1. Set a timetable for all web site changes and allocate a webmaster to drive the project. 2. Collateral may need to change to reflect the new products of the merged entity. 3. 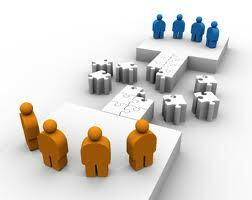 Emphasize the benefits of the merger for the customers. 1. Draw up a detailed checklist of contingent liabilities. 2. Note earn-out implications for company management. Factor into the integration plan. 3. Insurance and risk exposure reviews should be conducted as a high priority. 4. Tax and accounting matters related to regulatory compliance may require urgent action. Obviously, this list is by no means exhaustive, but illustrative of how one would go about dissecting potential problem areas and making adequate preparation. If your team will make a commitment to be thorough and anticipate things that could go wrong, you will know what questions to ask and what systems to take apart and reassemble. Integration is hard, but the effort is critical to successfully meeting the goals of the transaction.